The new Maruti Swift is launched by its manufacturer, Maruti Suzuki India, Today at the Brand Center, Maruti Suzuki Corporate Office Nelson Mandela Road in New Delhi. The event was spectacularly carried out with a lot of entertaining shows and performances by many globally acclaimed artists. There was a huge gathering of big celebrities and high profile delegates who added a spark of ecstasy to the ceremony. The whole event was being covered and captured by a huge group of desperate media representatives who anxiously, waited for even a minute piece of news. The speculations about the new Maruti Swift price is over now as the announcement of the the real price has been made during the launch. New Maruti Swift price starts from Rs. 4.22 lakh for its low end variant and goes upto Rs. 6.38 lakh for its high end variant. The all new Maruti Swift will come with a choice of six variants. Three of which is petrol variants and the rest three are diesel variants. 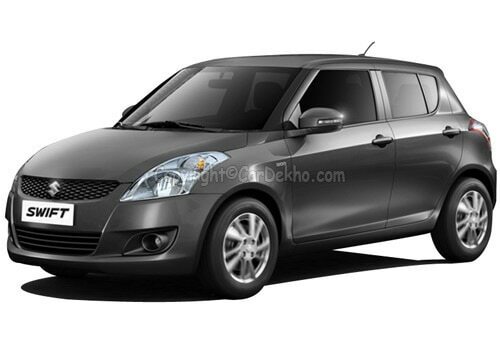 Maruti Swift LDi which is available in Rs. 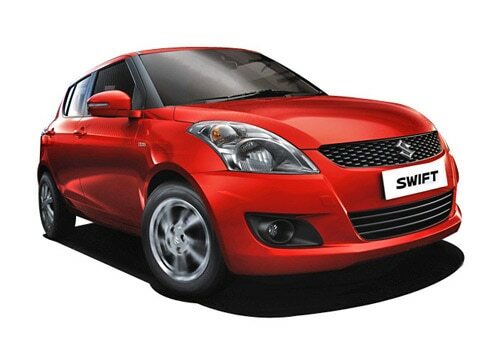 5.17 lakh and Maruti Swift LXi which is tagged at Rs. 4.22 lakh are the low end models of diesel and petrol variants respectively. New Maruti Swift VXi, a middle range petrol variant is priced at Rs4.76 lakh and the new Maruti Swift VDi, another middle range diesel variant is tagged at Rs 5.61. The two high end petrol and diesel variants, new Maruti Swift ZXi and new Maruti Swift ZDi models are priced at Rs. 5.53 lakh and Rs. 6.38 lakh respectively. New Maruti Swift specifications shows that the diesel variants will comprise of a 1.3 litre DDSi diesel engine which can churn out a maximum power of 75 ps and a maximum of 19.2 kg torque and a satisfactory mileage of 18.7 Kmpl is expected from it. The petrol variants will be equipped with a marvelous 1.2 liter petrol engine which can return 87 PS of maximum power and 11.5 kg of highest torque and a mileage of 22.9kmpl which will result a good market response. The new Maruti Swift reviews reveal that this car is lighter than the older Maruti Swift as a plastic tank is installed to this new hatchback. New Maruti swift hatchback is also more spacious than the older version.